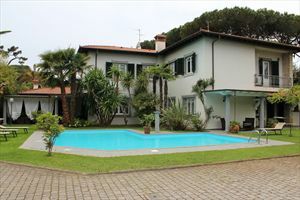 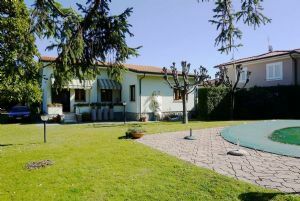 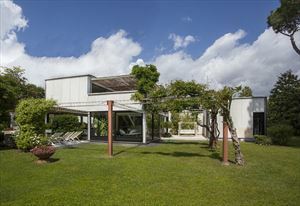 A detached villa (260 m2) with a garden of 2000 m², near the center of Forte dei Marmi in a quiet and safe area, about 1 km. 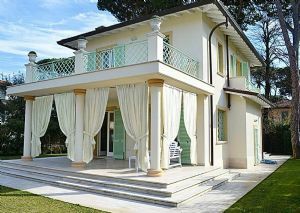 from the sea. 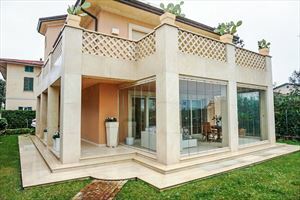 The villa consists of 3 bedrooms, 3 bathrooms, a living room with a fireplace and a furnished terrace. 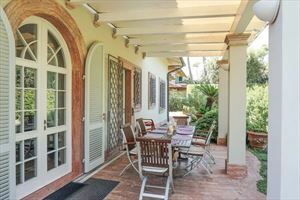 Also, there is a dependence in the garden (with a kitchen, double bedroom and bathroom), which can accommodate guests or staff. 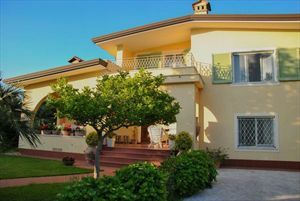 The villa is equipped with all amenities, including air conditioning, alarm system, satellite TV, Internet Wi-Fi, barbecue and parking with automatic gate.